A view of the Chelsea Grasslands on the High Line. CHELSEA — The creators of the High Line “failed” to design a park that benefited the neighborhood around it, one of its co-founders said. In an interview with CityLab published last week, Robert Hammond said he and his co-founder were focused more on the aesthetics of the park than the effect it would have on residents living around it as planning took place. Since it opened in 2009, the park has attracted millions of visitors and garnered widespread praise, but it’s also been accused of putting gentrification into “hyperdrive” and “destroying” the neighborhoods it traverses. 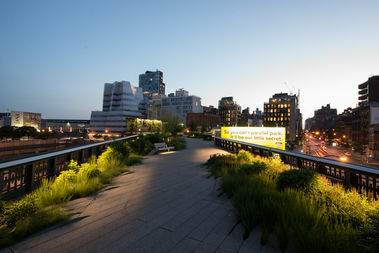 In recent years, Friends of the High Line has launched a series of initiatives to address the park’s shortcomings, including a jobs programs for teens and partnerships with the Elliott-Chelsea Houses and the Fulton Houses, the outlet said. A coalition Hammond started called the High Line Network, which focuses on building “adaptive reuse” parks like the High Line, is working to deal with “the social problems that accompany economic success,” according to CityLab.